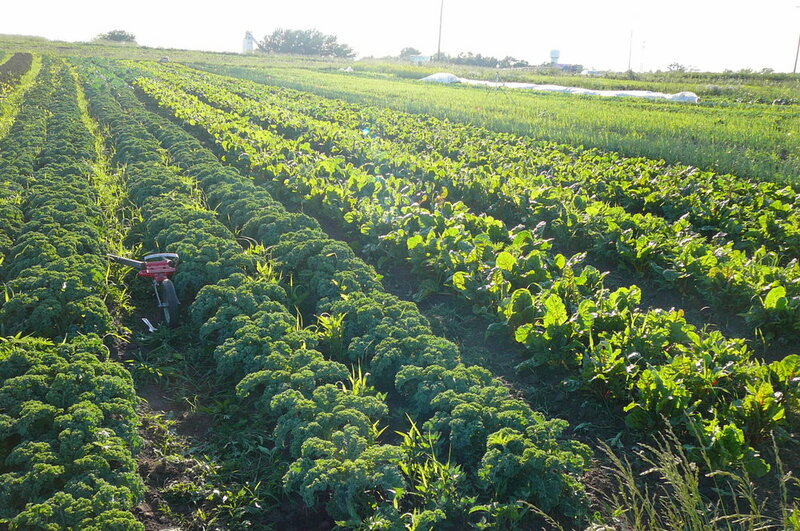 Join The Sugar Beet Co-op for a Day on the Farm! Midnight Sun Farm is just an hour away from Oak Park and is excited to host The Sugar Beet Co-op and friends for a farm tour and catered picnic lunch. We will start the day by exploring the 5-acre organic vegetable farm that is also home to chickens, turkeys, pigs and goats. After a guided hayride tour by farmer Nick Choate-Batchelder, we will feast on a delicious farm picnic catered by Crème Crafted Parties & Events. After lunch, guests are welcome to walk the fields, participate in a farm chore or visit one of the other area farms that are part of the Prairie Crossing Conservation Community.